We live in an age of shipping. 80% of global trade by volume, and over 70% by value, is carried out by sea, carried through trade routes and handled through ports across the world. The global marine fleet with all its passenger ships, ro-ro vessels, fishing vessels, bulk carriers, tankers, cargo ships, container ships, and more, is traveling further and carrying more than ever before. On top of this, the maritime industry is facing a growing set of environmental regulations. When it comes to commercial antifouling, this means coatings with fewer biocides, lower VOCs, higher solids content, and a significant contribution to reduced fuel expenditure. Coatings manufacturers have responded by designing commercial antifouling hull coatings that increase operational efficiency, reduce the cost and impact of vessel maintenance, reduce the environmental impact of the industry, and generally improve performance and efficiency. In this article we look at the ways in which commercial hull coatings can improve the operating costs and requirements of your vessel, no matter the vessel type or region, and discuss the top products available in Australia. Cut dry dock expenses – Dry dock expenses include the purchase, application, and maintenance of coating systems, the cost of labour in performing these actions, and the cost of downtime. The right hull coating will reduce the time and cost associated with these purposes and keep the vessel out of dry dock for longer, reducing the maintenance costs for owners, operators, and shipyards. Extend maintenance cycles – Increasing in-service periods to up to 90 months means less maintenance and money saved. Reduce drag and reduce fuel use – When drag is reduced so is fuel consumption. The percentage of reduction varies depending on the coating, but some manufacturers claim up to 10% reductions. 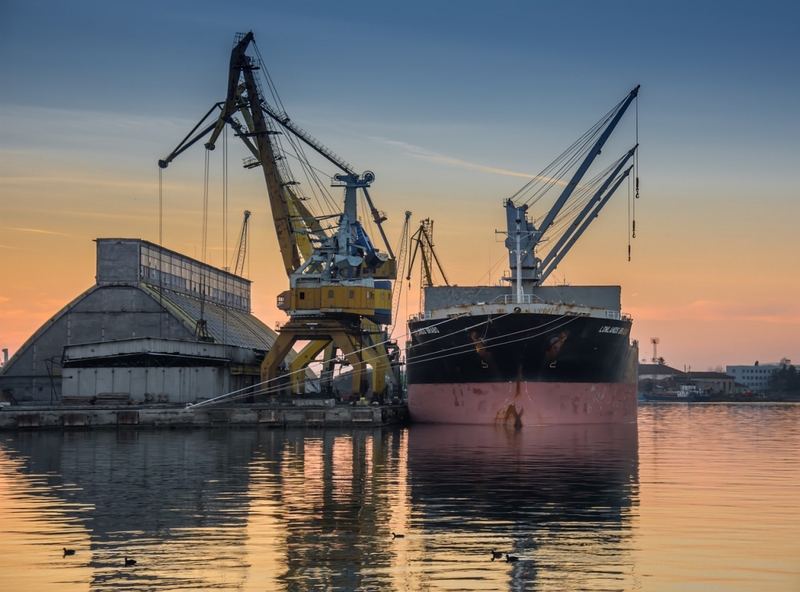 Increase trading flexibility and idle periods – Idle periods are a risk for biofouling as the action of the vessel through the water helps prevent buildup. New coatings however are effective even in extended idle periods, allowing for greater flexibility in trade. Increase competitiveness and efficiency – With less time hauled, greater flexibility as to idling and route, and increased fuel efficiency, commercial antifoul hull coatings improve the competitiveness and productivity of a vessel. In 2018, the IMO adopted a strategy in line with the Paris Agreement under the United Nations Framework Convention on Climate Change. This strategy aims to decarbonise the shipping sector and reduce total annual greenhouse gas emissions by at least 50% by 2050, while pursuing efforts towards phasing them out entirely. This initial strategy comes as a response to increasing pressure and need to comply with environmental regulations and curb the damage caused by the international shipping industry. Ship owners, ship managers, charterers and shipyards, and marine coatings manufacturers are all looking for ways to minimise their environmental footprint. High performance commercial hull coatings are an effective and simple way to immediately cut carbon emissions through fuel reduction and reduced maintenance cycles without placing more costs on ship owners and operators. Other emission-saving practices like slow steaming can also be adopted with the right coating choice. The antifouling hull coating that works for you is the one that works within all the requirements placed by region, steaming behaviours, idling periods, and more. Below are a few of the factors that you need to consider before choosing a hull coating. Many coating failures are caused through problems with application. If the surface was not adequately prepared, the structure beneath was not sound, the coating was not applied within the manufacturer’s temperature and film thickness parameters, or there simply wasn’t time for the full curing period, it will lead to a costly mistake. Be aware of the time and effort every coating application will require. Drying times, particularly when you are applying a full antifouling hull coating system, will need to line up with the shifts of the shipyard to maximise efficiency and cut downtime by applying the second coating as soon as the first is dry. If extended idle periods are part of the operational profile for your vessel, factor this in to your hull coating choice. If the coating manufacturers do not recommend their product for idling, do not take the risk. Does the vessel follow regular trading patterns? Ships operating through regular trading patterns through the same waters have a broader choice of coating options than one which has changing trading patterns that may take it into a variety of waters. More water types will need a broader range of coating properties. Does the coating work for slow steaming? If the formulation of the antifoul requires certain steaming speeds, it may not be appropriate for every vessel and purpose. With some 75% of shipping lines now adopting slow steaming, this is something to consider. Will the vessel be entering polar waters? A ship operating in polar waters will need to comply with the Polar Code. Designed to protect the polar environment and the vessel, this requires abrasion resistant low friction coating designed to deal with the arctic conditions. For year round operation in ice covered polar waters many ship operators will apply an abrasion resistant, low friction ice coating with no antifouling, but intermittent operation in ice covered polar water requires both abrasion resistant and antifouling. Do the manufacturer’s coating performance claims comply with the ISO 19030 standard? The ISO 19030 standard outlines general principles for measuring hull and propeller performance by comparing the performance of the same ship to itself over time. This way a coating can be tested and analysed using long-term trends and key performance indicators to provide the greatest accuracy. Our experts and coating partners are here to help you with all your commercial antifouling hull coating needs. Simply use the “Request a Quote” button and let us know the specifications of your project and we will connect you with the right hull coating for your requirements, and the best coating company for the job. Choosing the right antifouling hull coating is based on your vessel, operational profile and specific trading patterns. Below we have compiled three of the top commercial antifouling hull coatings for a variety of environments and requirements. For more local information, the Department of Agriculture and Water Resources has released biofouling management guidelines for commercial vessels in Australian waters. For more information, and to request a quote, click the link beneath this article. Our experts are here to help. International’s highest-performing deep sea biocidal antifouling coating, Intercept 8500 LPP is a self polishing, low friction hull coating featuring their patented Lubyon polymer technology to replicate the linear polishing performance of TBT coatings without the environmental concerns. HOW IT WORKS: The Lubyon polymer is ‘superhydrophilic’ meaning water is attracted to the surface; the same property is utilised in self-cleaning glass. What this means is that the coating creates a lubricating effect at the surface, resulting in a very smooth, low friction coating surface on immersion which reduces surface friction and drag. Intercept 8500 LPP reacts with seawater creating a constant surface active zone which releases the optimal amount of biocide over the scheme life. Biocide release is largely unaffected by seawater temperature. Hempaguard X7 is an advanced high solids fouling defence coating based on Actiguard technology which combines hydrogel silicone and efficient biocide use to boost the antifouling barrier and provide extra-long protection periods. HOW IT WORKS: Hydrogels consist of a polymer chain network that, instead of dissolving in water, actually absorb water to a level of more than 99 per cent. This results in a surface which minimises adhesion and is also low friction, much like a foul release coating. The hydrogel microlayer creates a barrier between the solid silicone binder and the organisms that would cause fouling. When combined with biocides this coating protects the hull even if the vessel is idle for extended periods, moves slowly, or changes trading pattern. SeaQuantum X200 is the highest performing commercial antifouling hull coating from Jotun. It is a tin free, ultra low friction hull coating with self-polishing properties based on hydrolysing silylmethacrylate copolymers. HOW IT WORKS: The hydrolysing silylmethacrylate copolymers allow seawater to gradually penetrate the surface layer of the coating and dissolve the polymer. This forms a thin, self-polishing leaching layer, where the contained biocides are released in a controlled and progressive manner. The hydrolysis only occurs at a microns deep layer at the surface, ensuring long-lasting protection.